The testicles are extremely sensitive, and even a slight injury can cause serious pain in the testicles themselves, your groin or abdomen. It’s not always possible to diagnose the cause of testicle pain, and conditions as diverse as trauma, hernia, infection and cancer can cause it. If you experience sudden, chronic pain, or if your testicle pain is accompanied by fever, chill, nausea or blood in your urine, seek medical assistance for a proper diagnosis. The spongy nature of testicles allows them to absorb a lot of shock, but because they are not protected by muscle or bone, it is possible to damage your testicles, especially when playing contact sports. It’s normal to experience pain, swelling or bruising with trauma to the testicles, but a direct blow can cause your testicles to rupture, leading blood to leak into the scrotum. If this happens, the Cleveland Clinic suggests you may need surgery to save the testicles. Seek medical assistance as soon as you can. When part of your intestine, or other soft tissue, projects from a tear in your lower abdominal wall, you have an inguinal hernia. You may feel pain or swelling in the groin or testicles, and this may be exacerbated by exercise that involves heavy lifting and bending, or even just by coughing. 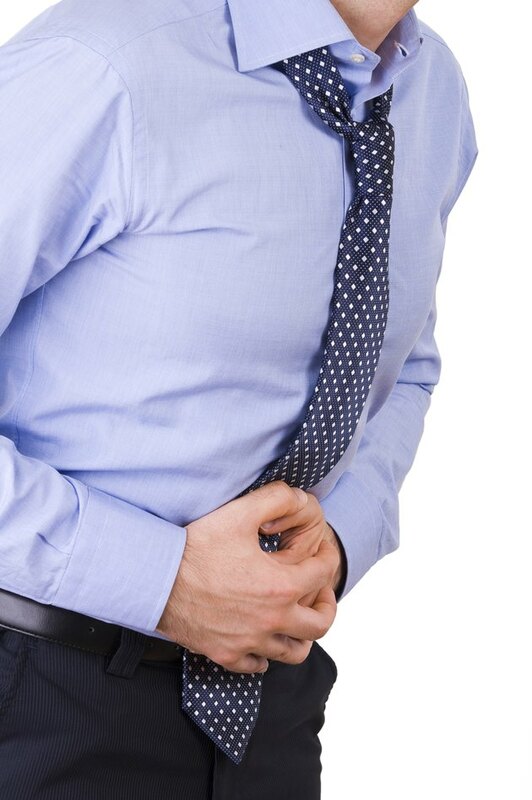 Other symptoms include bulging, burning and aching around the pubic bone, groin pain and swollen testicles, and while not dangerous itself, an inguinal hernia can lead to other, more serious conditions, so get it checked out by a doctor immediately. If you begin exercising without emptying your bladder, you might be putting yourself at risk of a bacterial infection. As you exercise, you can force the urine in your bladder into the Vas deferens tubes, and then on to the testicles. If a significant amount of urine gets into the testicles, you have the perfect breeding ground for bacteria. Other symptoms include discharge, fever, pain on urinating, blood or specks in the urine and groin, or lower back pain. Visit your doctor immediately, as antibiotics should clear the infection. Although you should not feel testicular pain specifically after exercise, the symptoms of testicular cancer can come and go, and it can be hard to distinguish exactly when you feel pain. Symptoms of testicular cancer include pain, swelling and heaviness in the testicles or groin, and can occur at any age. More than 90 percent of testicular cancer can be cured, notes the Cleveland Clinic, so give yourself time and get checked immediately if you suspect it. Men's Health: I’m Getting a Pain in My Testicles But Only When I’m Exercising. What Can it Be? Daily Mail: Ask the Doctor: I've Got a Painful Testicle. What Do You Advise? What Are the Symptoms of Prostate Cancer in Young Men?